ThyroLibrium is a top rated thyroid support complex designed to support glandular metabolism. This may improve strength and energy for the thyroid gland. As a hypothyroid support supplement, ThyroLibrum, has a natural helper and booster complex formula that may improve thyroid metabolism. 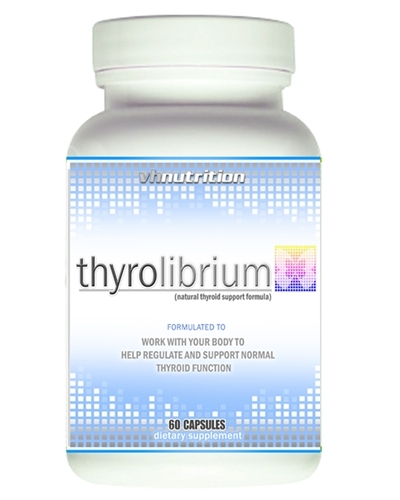 ThyroLibrium is an natural alternative to Armour and Lifter thyroid support complex tablets. 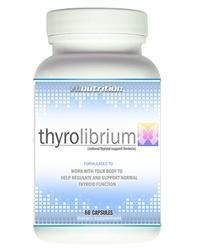 ThyroLibrium is an natural alternative to Armour and Lifter thyroid support complex tablets. ThyroLibrium is not a prescription medication but contains potent natural herbs to provide thyroid support. Take one serving (two capsules) with 8oz of water daily. For Improved results take one serving two times daily. This statement has not been evaluated by the FDA. This product is not intended to diagnose, treat, cure, or prevent any disease. The statements made on this page are not intended to be construed as medical advice. Actual product packaging and materials may contain more and different information than what is shown on our website. We recommend that you do not rely solely on the information presented and that you always read labels, warnings, and directions before using or consuming a product.